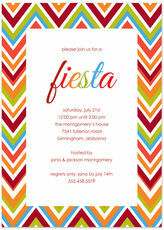 Invite friends and family to your Mexican fiesta with this set of invitations. Matching unprinted white envelopes included. 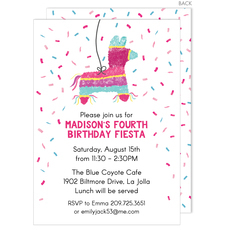 Size of invitation is 5" x 7". Flat printed in ink color as shown.. 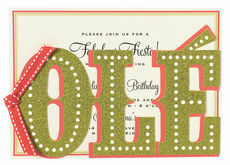 These invitations feature glittered die-cut Ole card stock attached to printed invitations secured with stitched ribbons. Invitations measure 7" x 5". 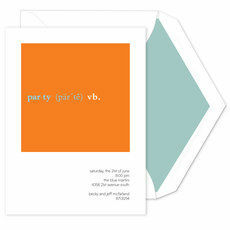 Invitations, envelopes, diecuts and pre-cut.. These invitations feature ombre die-cut fiesta card stock attached to printed invitations on white cards secured with satin ribbons. Invitations measure 9" x 3.75". Invitations, envelopes,..